I CANNOT COUNT THE WAYS IN WHICH CLIENTS HAVE COME TO SEEK MY SERVICES BECAUSE THEY PAID SOMEONE WHO IS NOT A LICENSED ATTORNEY TO PROCESS THEIR IMMIGRATION FORMS. 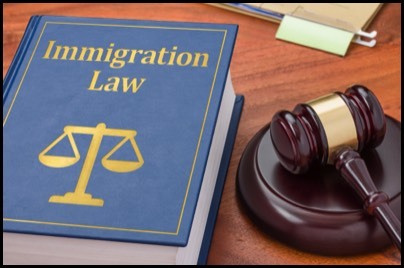 IT IS A CRIME IN NEW JERSEY TO PROCESS IMMIGRATION FORMS OR PETITIONS BY SOMEONE WHO IS NOT A LICENSED ATTORNEY OR AN INDIVIDUAL OR AGENCY CERTIFIED BY USCIS TO PROCESS APPLICATIONS OR PETITIONS. Notice to Appear in Immigration is serious. This means you are facing deportation proceedings. It is important for you to be represented by an attorney to protect your rights. If you fail to appear you will be issued an Order of Deportation!